One of the curiosities of having been born towards the end of the twentieth century is the parallel - artistically speaking - to having born towards the beginning of the ninth. Just as those approaching middle-age today have grown up with the end of modernism and the reassertion of the image in both painting (Pop art) and architecture (postmodernism), so would Eastern Christians have seen the end of iconoclasm and the reassertion of images of Christ, the saints, and Mary after the final lifting of the imperial ban in 843. Not to be outdone by the artists whom they study, art historians have taken this return of the image as an occasion for intensive labors of their own. Ambitious tomes have attempted to widen the stylistically driven history of art to accommodate the far-flung history of images. Islands of “fine art” are becoming less interesting to many art historians than the ocean of general visual culture that surrounds them. “An image,” writes Hans Belting, a chief navigator of this bewildering sea, “often fluctuates between physical and mental existence. It may live in a work of art but does not coincide with it.” One senses almost a spiritual aspiration in this level of art historical reflection, which is becoming more and more difficult to ignore. 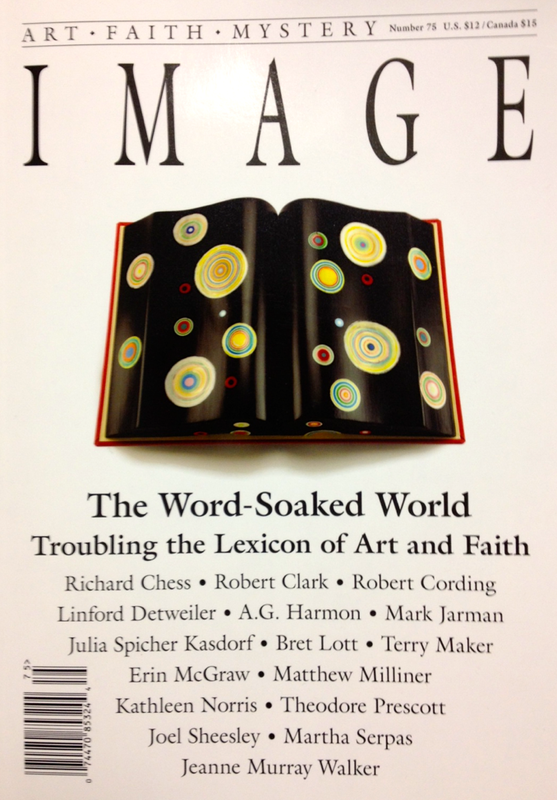 Image theory is like the calculus of art history – frustratingly complicated, but worth struggling with for being true. But even the most daring of these new perspectives, in their most advanced Teutonic manifestations, are not nearly daring enough. The traditional religious response to this disciplinary direction should be not confusion but relief, not “Where are you going?” but “Welcome back.” For among our more recent image theorists, none are as irreducibly wild as the image theorist par excellence, John of Damascus. Rarely do those who cite this eighth-century defender of images communicate the breadth of his full-orbed justification. John lived in a time, not unlike Modernism, when images were banned – a ban backed by the authority of an Emperor, not just fashion. And unlike many modern image theorists, John knew that if one attempts to answer the question, “What is an image?” without getting metaphysical, the question never actually gets asked. How does John do it? First, like a roller coaster operator strapping in a terrified ten year old, John defines his terms: “An image is a likeness and pattern and impression of something, showing in itself what is depicted.” And then he pulls the brake release. When, John wonders, did images begin? Did they start with the earliest artists? Had John known of the first of cave paintings at Altamira, Lascaux or Chauvet, might he have referred to them? This would be far too tame. “The first natural and undeviating image of the invisible God is the Son of the Father, showing in himself the Father.” Which is to say that for this John, in the beginning was the Image. That consummation, it will come as no surprise, is offered in Christ – the original image - the true likeness of God in our midst, perfect without remainder. But this is no static perfection! The image of Christ is so attractive that it endlessly replicates itself, steadily summoning we lesser images to contribute a hitherto unknown coloration to its ever widening spectrum. The human journey is therefore from image unto image. “Just as we have born the image of the man of dust,” writes Paul, “we shall also bear the image of the man of heaven” (1 Corinthians 15:4). Or, more famously, “For those whom he foreknew he predestined to be conformed to the image of his Son” (Romans 8:29). It is only after all this – after the metaphysical work that climbs to the highest heavens and back again – that John gets around to making his case for images that are made with human hands. But because that justification for human made images – art – is freighted with such metaphysical force, it succeeds. Although he did not live to see his cause vindicated, John’s arguments - providentially made possible by Muslim political asylum - carried the day. Icons reasserted themselves in the life of the Eastern Christian Empire, just as images have recently emerged from a time of modernist censure as well. 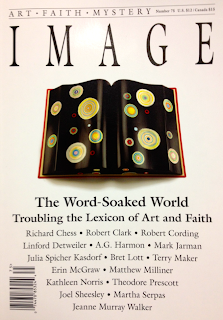 It's all in the current issue of Image along with other explorations of the faith/art lexicon, including one on freedom by a painter who has long been creating his own chain of meticulous and absorbing images, Joel Sheesley.